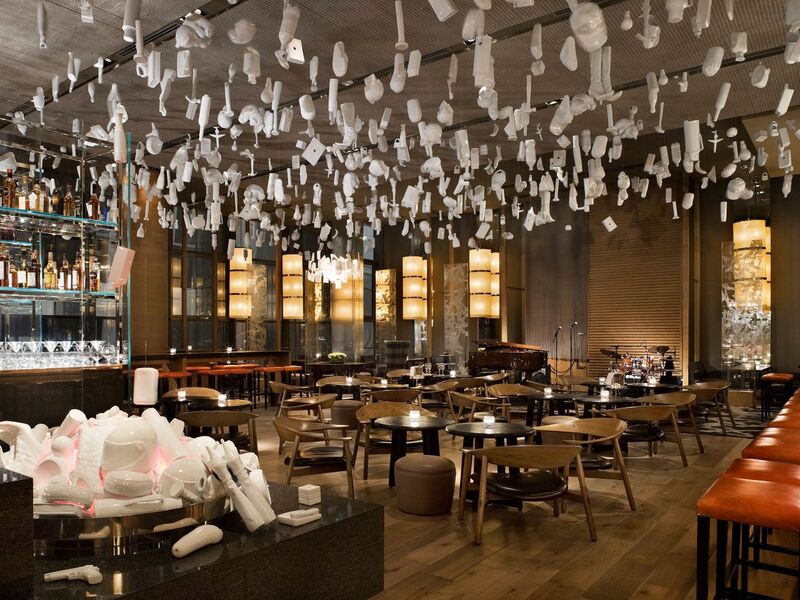 Enjoy a unique fine dining experience at 5 star restaurants of Park Hyatt Shanghai. 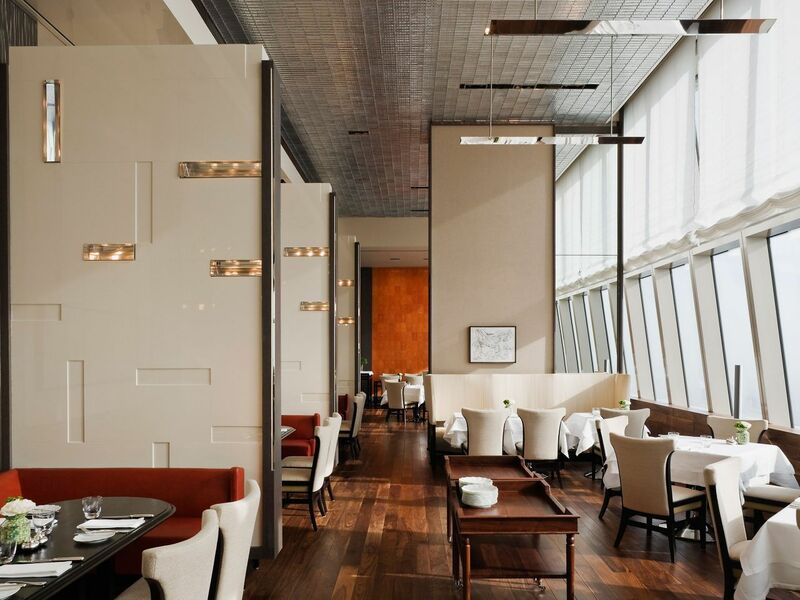 The Living Room is a residential-style café lounge with magnificent views of the bund. The entire space has been designed to give guests the feeling of being in the living room of an elegant mansion. 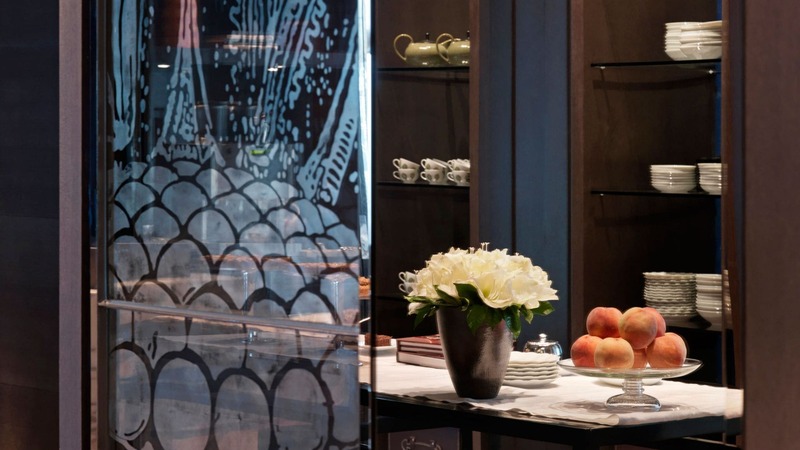 Enjoy simple yet sophisticated Chinese and Western light dishes, or simply a cup of your favorite coffee or tea, the Living Room is particularly famous for its afternoon tea and Champagne at sunset. 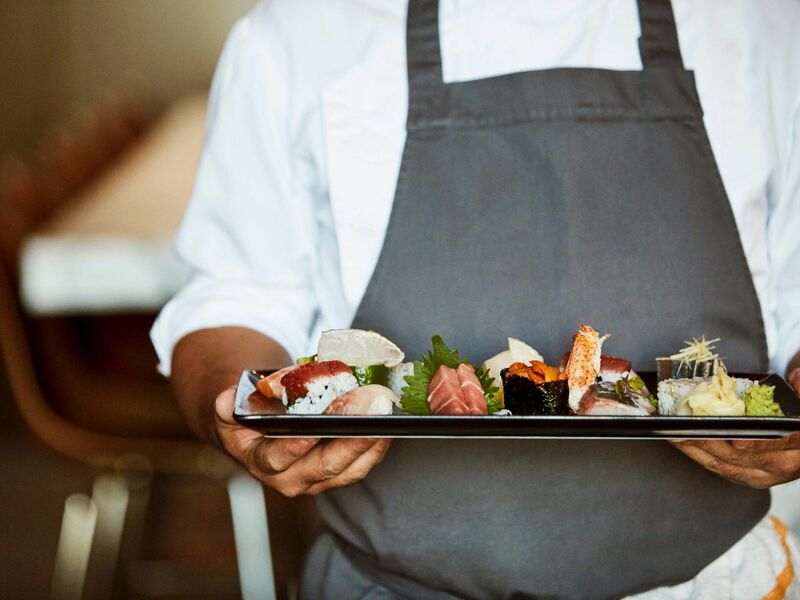 Afternoon tea: 1:30 p.m. – 5:00 p.m.
Pantry is a contemporary-style casual dining restaurant that serves casual comfort food and a la minute buffet dinner. Sunday Brunch: 11:00 a.m. – 2:30 p.m.
Pantry dinner: 6:00 p.m. – 10:00 p.m. 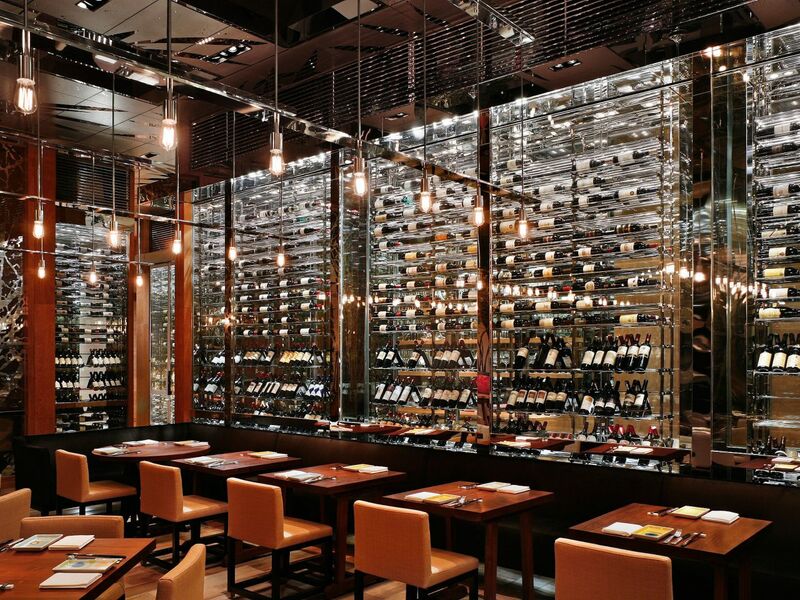 Dining Room in Shanghai is a European restaurant featuring refined European provincial cuisine in an elegant and serene setting with signature wine pairing menus. 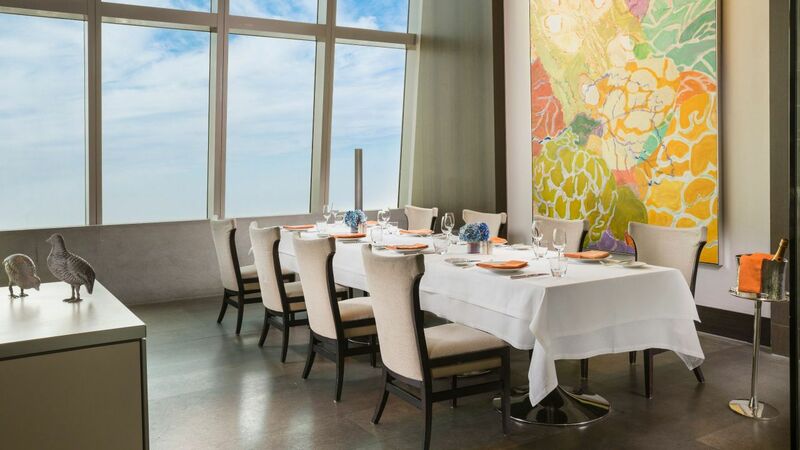 Lunch and dinner are served with spectacular views over the city. Dinner: 5:30 – 10:30 p.m. 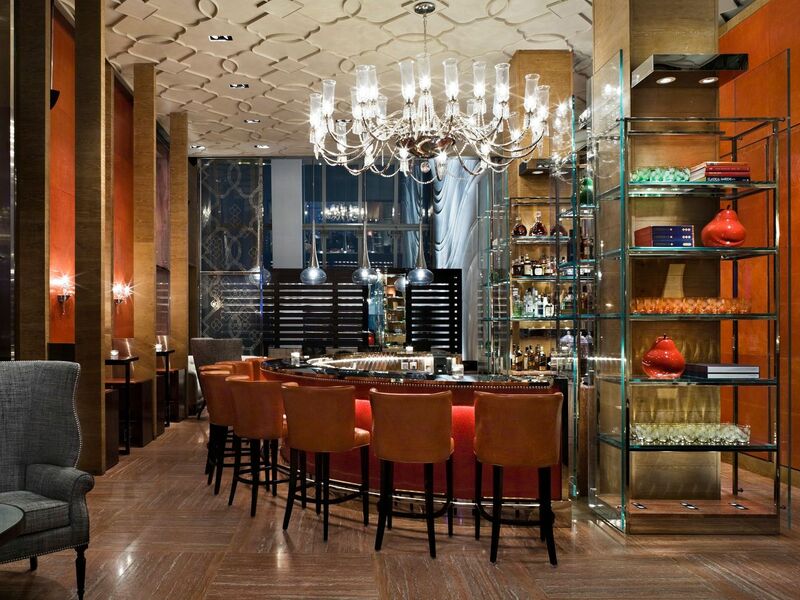 The intimate leather-lined circular bar offers a rarefied ambience of privacy for guests. Whether ordering classic cocktails or enjoying a geography lesson through our collection of antique telescopes, the Bar is the ideal rendezvous venue for close friends. 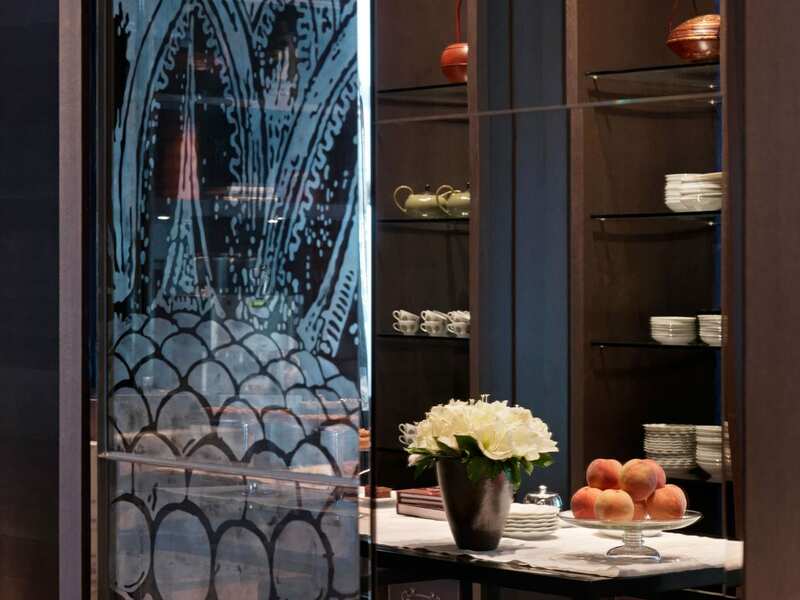 Featuring a 12-seater dining table, a designer kitchen, an individual music system, direct access to our wine cellar housing 300 wines from around the world and private chefs, the Chef’s Table is ideal for tailor-made suppers and home-style hosting. Every Sunday at Chef’s Table, you will enjoy the Lobster Sunday Brunch including the garden-fresh selections from the a la carte to a wide variety of delicious entrées hand-prepared by our chefs and many delicious European provincial cuisine. Dinner 5:30 - 10:30 p.m.
Breakfast: 6:30 – 10:30 a.m. 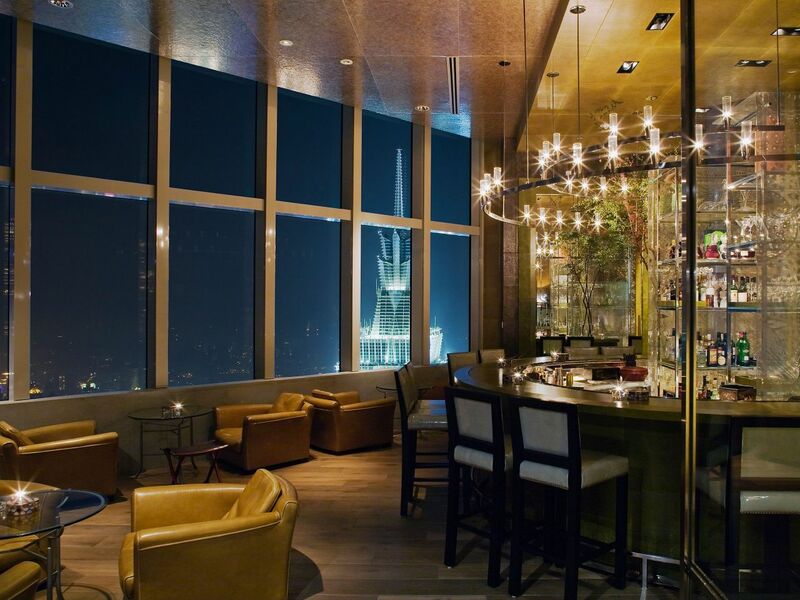 The Music Room, located on the 92nd floor, serves an extensive collection of specialty drinks, whisky and cocktails and presents you vibriant Shanghai nightlife. Apart from the live music performance and resident DJ, Music Room hopes to give the happiness daily moment to guests and bring the Shanghai’s party scene to a new height with Ladies Night, a serial of parties and events. Monday – Thursday 7:00 p.m. - 1:00 a.m.
Friday – Saturday 7:00 p.m. - 2:00 a.m.
A floor-to-ceiling cloisonné wall leads to the sophisticated Shanghai Lounge. With sumptuous upholstery and intimate leather-lined booths, this cozy, 60-seat 1930s' style bar offers a quieter, more romantic atmosphere where you can find the traditional Chinese liquor, Baijiu, on the menu. 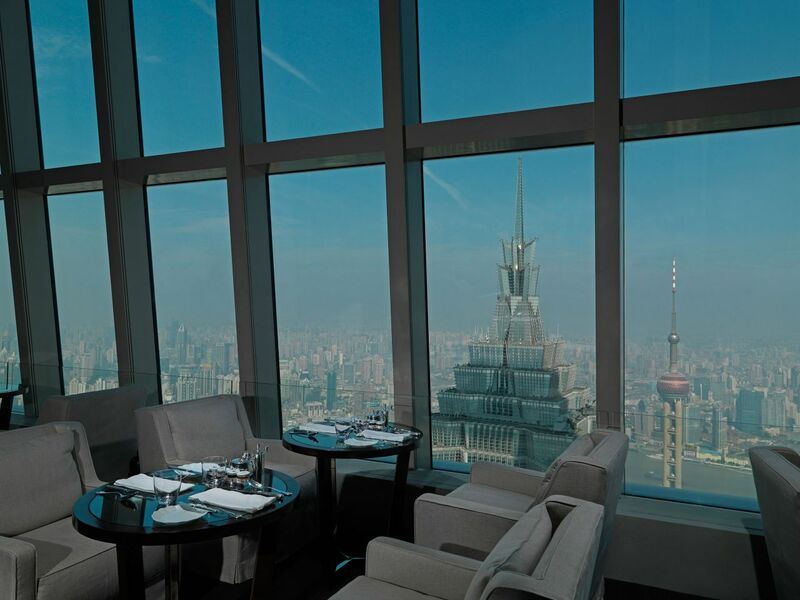 In room dining of Park Hyatt Shanghai delivers a high level of service and culinary experience equivalent to the hotel restaurants. Serving breakfast and all day dining menu option you will be able to enjoy the freshest of every outlet specialties and seasonal dishes.